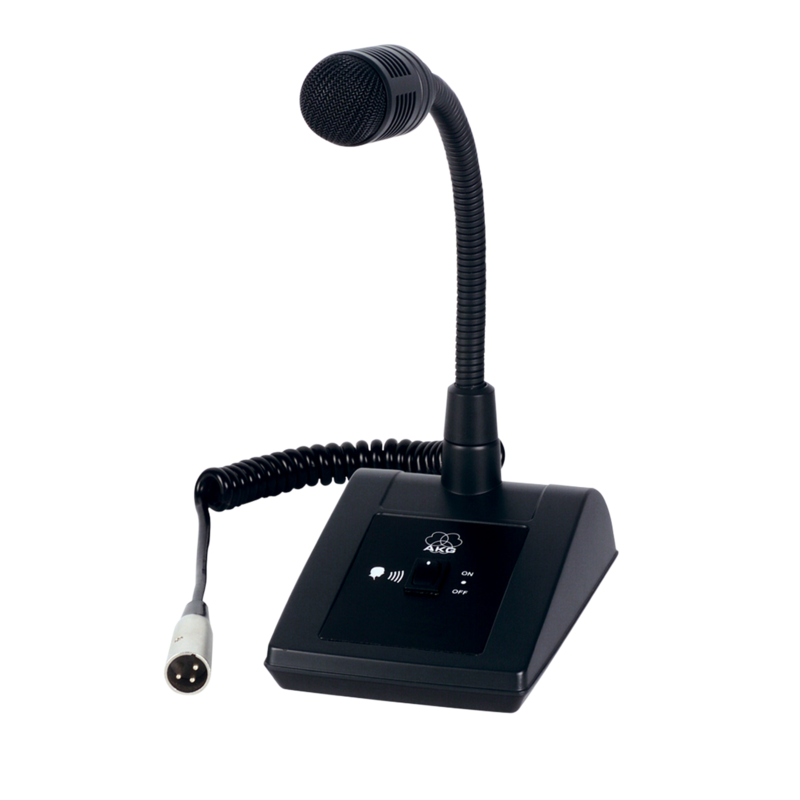 The DST99 S is a paging microphone with cardioid polar pattern for general public address and communication use. The DST99 S provides a frequency response tailored to speech use, for optimum intelligibility as well as good off-axis rejection, high gain before feedback and suppression of unwanted ambient noise. The all-metal body ensures a long useful life for the microphone, even in tough day-to-day use. The DST99 S is mounted on a table stand with an on/off switch and supplies a coiled cable with three-pin XLR connector. Using a dynamic capsule, the DST99 S does not require any powering.